The Culture of Death crowd is in a tizzy because Christian groups, empowered by the November 2010 election results, have been assaulting the legal foundation of Roe v. Wade in numerous states. In Ohio, a “heartbeat” bill has been proposed which would make abortion illegal once an unborn baby’s heartbeat is detected. If signed into law, this would mean abortions could not be procured six weeks after conception. Similar bills have been introduced in ten other state legislatures and are expected to be approved in Mississippi, Louisiana, Arizona, and Kansas. Then there’s the personhood amendment that holds life begins at conception. It has a good shot in a number of states, despite Mississippi’s rejection of the statute in last month’s referendum election. The merchants of death, however, are mobilizing well-financed counter offensives. Planned Parenthood, whose clinics perform over 300,000 abortions annually, has persuaded Alexander Sanger, grandson of founder Margaret Sanger, to attack those trying to limit or eliminate “reproductive healthcare” (i.e. killing unborn babies). In a New York Daily News op-ed piece titled “Republicans’ hundred-year war on abortion rights continues: But we cannot give up the fight for women’s health,” Sanger, who serves as Chairman of the International Planned Parenthood Council, emotionally describes how his grandma began her career 100 years ago as a birth-control advocate by opening a clinic in the Brownsville section of Brooklyn. Eugenicist Margaret Sanger, a lapsed Catholic who boldly proclaimed “more children for the fit, less from the unfit, that is the chief issue of birth control,” was certainly America’s leading proponent of limiting the number of children born to those she considered “irresponsible breeders” – Slavs, Italians, Blacks, Latinos, and Jews. Religion over science: sound familiar? Yet despite her harangues against the Church and her insistence that “for the welfare of children, for the happiness of husbands and wives, and for the full realization of Women’s rights, birth control by scientific methods of contraception [should] properly and wisely be exercised,” she did make one exception to an otherwise thorough pro-choice agenda: abortion. I bet you never heard that Sanger considered abortion “dangerous and vicious.” You can take it to the bank that there are no posters hanging on the walls of Planned Parenthood clinics quoting those particular words of the founder. Margaret Sanger actually believed that abortion destroys an innocent life because she was honest enough to recognize that life begins at the moment of conception. Hence, she would have disagreed with the U.S. Supreme Court’s conclusion in Roe v. Wade. Based on her very own words, we can also presume that she would have rejected Planned Parenthood’s sudden claim in the 1960s that “no one really knows when human life begins” and that during “its early intra-uterine existence, [the fetus] is not yet a human being because it is simply a group of specialized cells that do not differ materially from other cells.” She would have rejected Planned Parenthood’s redefinition of reproductive terminology that rationalized abortion as a form of contraception. It’s time for grandson Sanger to shred the Planned Parenthood idiot cards he reads, to cease sloganeering and to devote some time to reflecting on his grandmother’s view that abortion is evil. If he pursues that course, he may experience an epiphany, have a change of heart, and begin a new crusade that will not rest until the right to life becomes a reality for all the unborn. 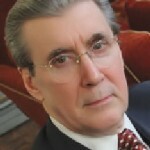 George J. Marlin is an editor of The Quotable Fulton Sheen. His newest book is Narcissist Nation: Reflections of a Blue-State Conservative.A note from Robert Royal: We’re grateful at The Catholic Thing for the support of readers this past week. In particular, a number of donations came in over the weekend. But we are far behind where we need to be by the end of the year if TCT is going to be able to keep on bringing you that faithful Catholic commentary you come to this site to read every morning. These are hard economic times and we know many of our readers are hard pressed. That makes it all the more urgent that those of you fortunate enough to be in a position to help with this work do so, and as soon as possible. We really need a slew of $50, $75, and $100 contributions – or more – to meet the readership targets we’ve agreed to with some of our large donors. And I’d really like to end this fundraising drive well before Christmas so that we can all get back to contemplation of the Great Story of our faith. So please, become a collaborator in this work. Give to The Catholic Thing today.